A One hour lesson for those who have an interest in snow kiting and want to sample the fun before committing to a full lesson. ​You'll get a quick overview of snow kites and their usage and spend some time learning the basics by flying an HQ FLUXX 1.3 trainer kite. * And at the end of the lesson you keep the kite! This allows you to continue to work on the flying skills on your own and better prepare you to take the next steps into wind powered snow riding. ​All kiting equipment is provided, just bring your helmet. 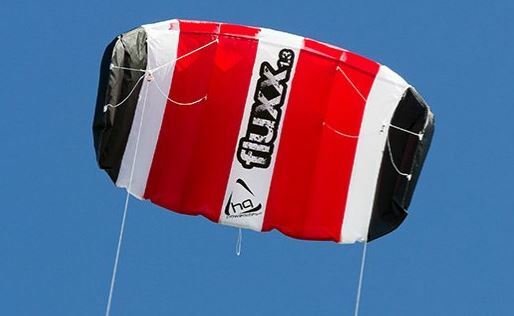 *A trainer kite, though it may be able to pull lighter riders in very high winds, is designed for use as a trainer, not a pulling kite. ​We recommend the Rush School 300 if you prefer a trainer with that offers some ability for you to ride.